The Montgolfier brothers made the first trip in a hot air balloon in France in 1783 and since that time man has admired the beauty of soaring through the sky in brightly coloured hot air balloons named Montgolfiers after their inventors. Flying in a balloon helps to create more endorphins and adrenaline in one’s body increasing the feeling of joy and happiness. In the world of aeronautics as well as in other areas, world records have been achieved exceeding the limits of human capabilities. 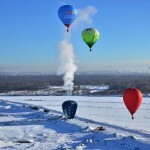 Flying for the first time around the world in a gas balloon named “Morton” Russian traveller Fedor Konyukhov landed in Western Australia on July 23. 2016. Achieved in just 11 days, breaking a previously held record for a flight of 35.168 km and setting a world record for the minimum time taken over the distance and the maximum height during the journey. 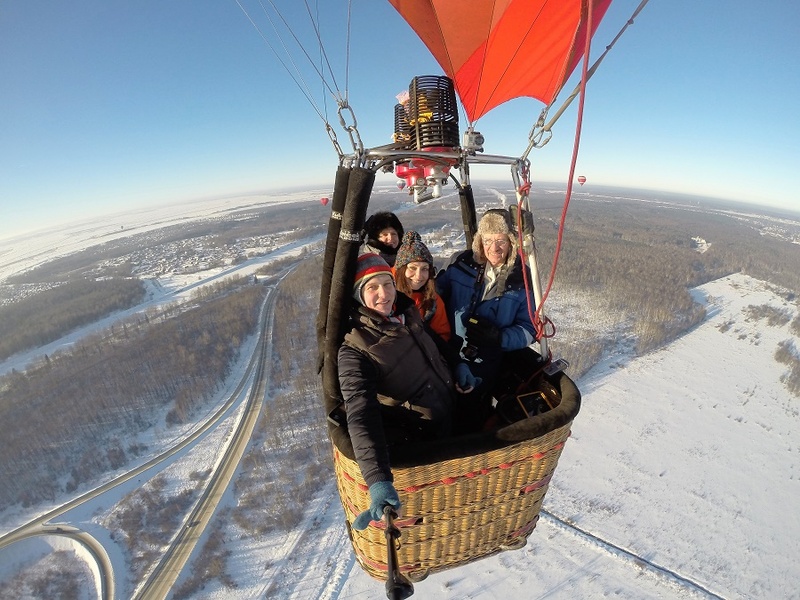 Fedor Konyukhov and Ivan Menyailo set the last world record in aeronautics on February the 9th 2017 – the time for this direct flight in a hot air balloon was 55 hours and 15 minutes. 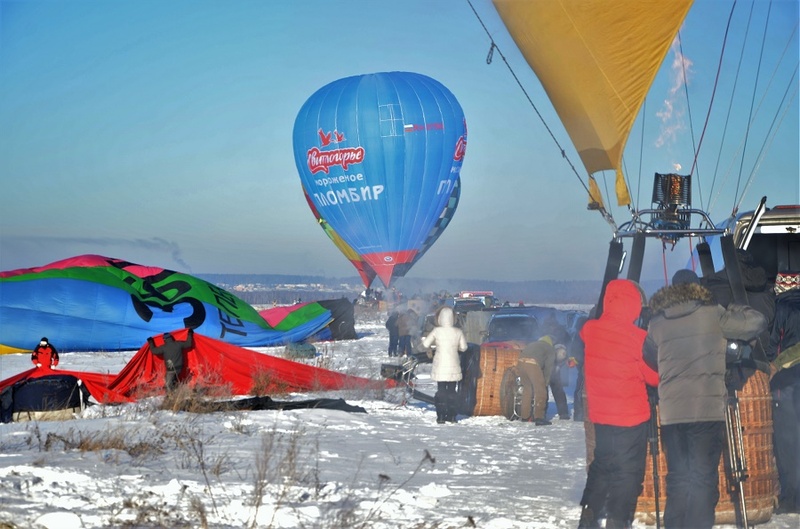 The last ballooning event which I managed to take part in was a traditional Russian winter festival named “Apples in the Snow”, which takes place on January the 8th in the Dmitrov district of Moscow. 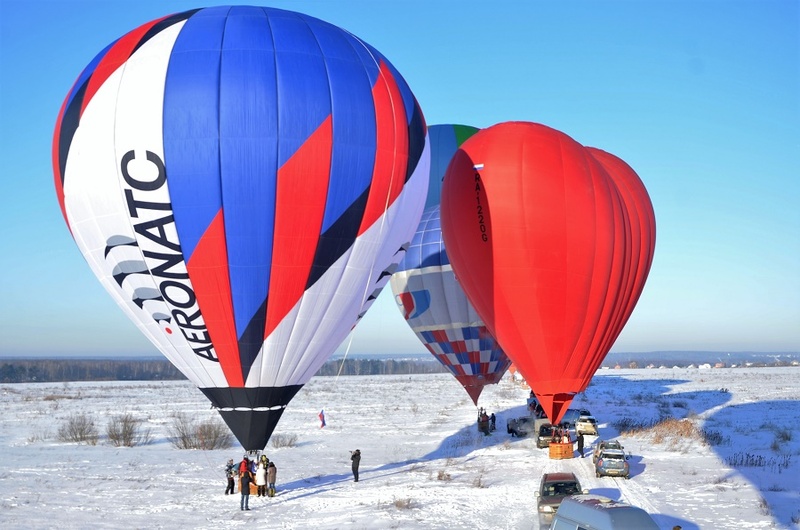 Why “Apples in the snow?” Perhaps because hot air balloons are made from a bright material similar to parachutes, reminiscent of the natural colours in apples of red, orange, green, maroon, and pink, also the winners of this flight are always rewarded with red apples. 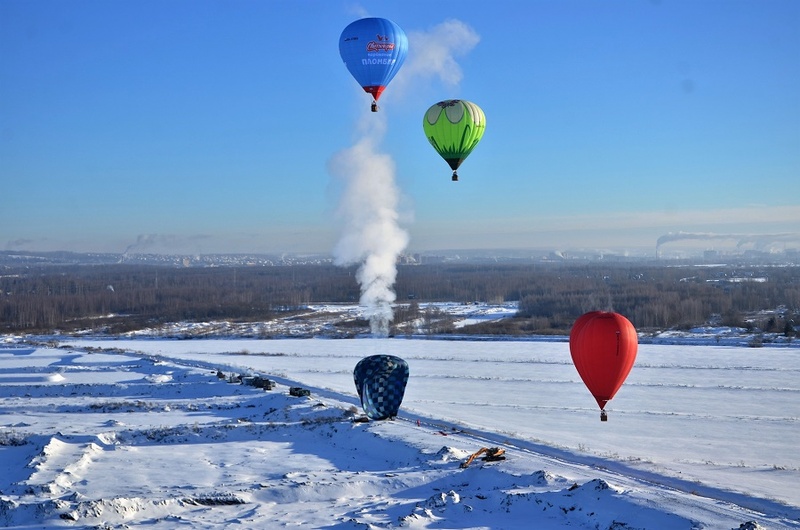 Flying in January is a daring experience due to the extreme weather conditions – the thermometer sometimes drops to -33 C. Nevertheless, on this particular flight, the 17 hot air balloons soared majestically into the icy cold sky. 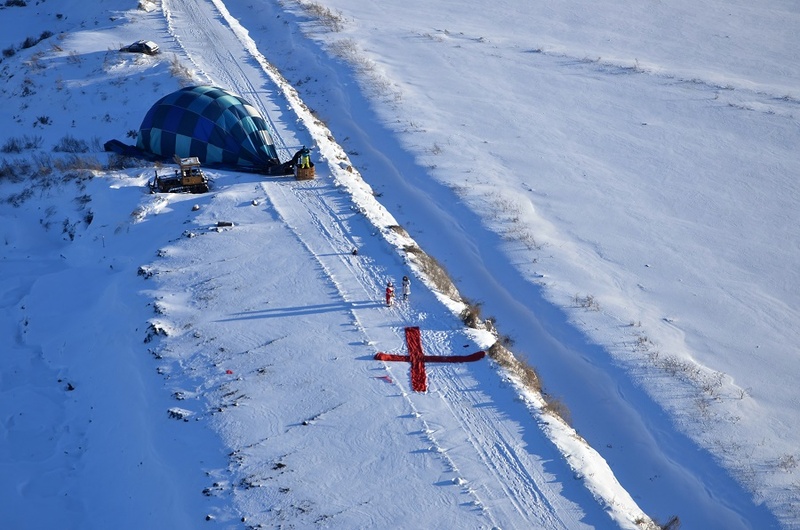 The task for the pilots was to follow a balloon named “Hare” which is launched early and allowed to fly for a while, in order to choose a site for a target, this is designated by placing material shaped into an orange cross on the ground. 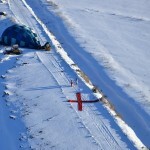 All the pilots, named “hounds”, have to navigate their balloons over the cross and hit the target by dropping a marker, which is a bag of sand with the pilot’s number, in the centre of the orange cross. 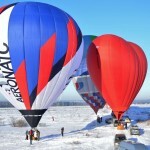 On this occasion the best pilot of the event was Andrey Galinskiy. 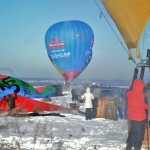 This entry was posted in Photo gallery, Traditional events, Video and tagged hot air balloons. Bookmark the permalink.